Massachusetts-based Aquabotix, which recently listed on the ASX, has announced its Endura drone has been approved for placement on the General Services Administration (GSA) Schedule in the US. The GSA is an agency of the US government that supplies products for government offices and operates the Federal Acquisition Service (FAS). The schedule allows various US government agencies to buy goods and services. Prices on the schedule are preset, meaning procurement managers are able to make purchases of products on the GSA Schedule more seamlessly. A spokesperson for Aquabotix said, "Basically, this means that Aquabotix products will be included in a catalogue of GSA Schedule approved products, with pre-negotiated prices, delivery terms, warranties and other T's and C's. 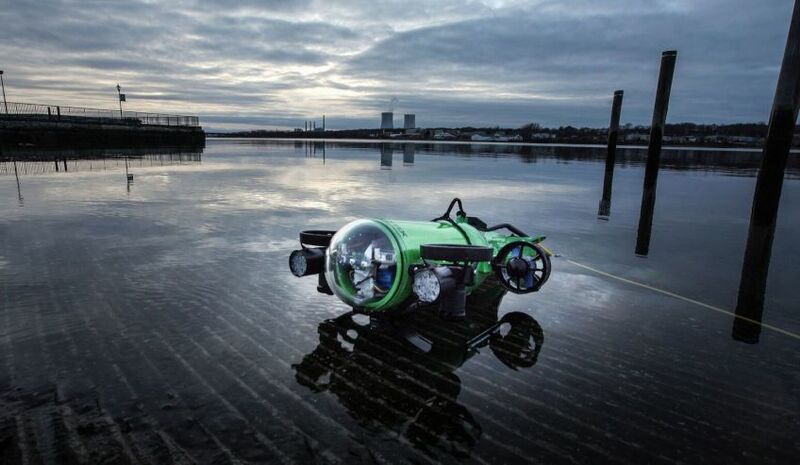 "This will help streamline the purchase of the underwater drone products from both state and federal government agencies in the US, as well as make Aquabotix products available to more defence agencies in the US." As part of the placement on the schedule, Aquabotix's Endura drone has also been approved as qualifying for purchase through GSA Advantage by state and local governments in the US. Aquabotix chief executive Durval Tavares said the company's approval for placement on the schedule will allow the business to have more success. "The company participates in governmental procurement processes, and has had success in this procurement channel. Inclusion on the GSA Schedule and in the GSA Advantage catalogue now allows for shorter-cycle, pre-approved procurement of the company's uncustomised Endura product by the US federal government, state and local agencies," Tavares said. "Essentially, government employees with appropriate authority can now purchase an unmanned underwater vehicle from Aquabotix with the click of a button." The news of the GSA Schedule placement comes in addition to the US Navy signing a separate order for Aquabotix's unmanned underwater vehicles in May. Aquabotix manufactures and sells commercial and industrial-grade underwater drones and networked underwater cameras for commercial and high-end consumers, as well as military applications. The Endura has an industry-leading 5 knots of thrust and a sturdy hydrodynamic design.